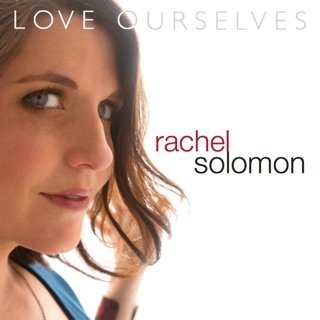 Solomon composed the music and wrote the lyrics for the five songs on her CD. And while it's a short play list, it manages to be very eclectic. If there's a single theme from the album, it's the idea that she, and by extension, all of us, are on an unfinished journey. It's a journey with bold beginning, as described in "Can I Come Back Home." But, also a journey of true sadness, "Baltimore," and love lost, "Be My Valentine." She ends the CD with the title track, "Right On Time." And it neatly bookmarks the opening song, "I Mess Up Too." We are none of us perfect, but we need to trust that life is moving at the right speed and things will come to us, "Right on Time." For anyone who has ever suffered through Imposter Syndrome, I Mess Up Too is written with you in mind. We see our own faults and failings even while recognizing that others might not. 2. CAN I COME BACK HOME? Who among us hasn't looked back and realized that we are not where we thought we would be by the time our "ten year reunion is coming up"? By bracketing the song with that line at the beginning and end, it puts the entire song into a wistful thinking context. No, she's not really wanting to go home, but it would be nice to be able to run back to the safety and simplicity of childhood. This is the best song on the album. A tragic love song for a "city in pain." The death of Freddy Gray while in police custody is the backdrop. Solomon's vocals are at their best and the lyrics are just sparse enough to tell the story while also fueling our imagination. "The death of a man named Gray." She manages to make us weep for a city that many of us have never seen. Without casting judgement, she leads us on a musical tour through a city being ripped apart. Haunting. I might have misunderstood this song. On its surface, it's a playful tune about Valentine's Day. But, after listening to the lyrics, it takes on a decidedly "fatal attraction" tone. It's easy to envision our lovelorn protagonist stalking her victim and tying him up in the basement "for just one night." 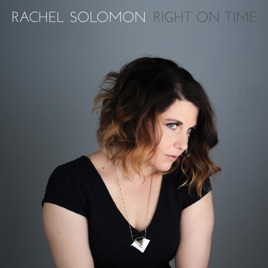 Solomon's strong vocals and piano playing are on full display here. It might be a slightly creepy journey, but we are going to be humming the soundtrack for awhile. The musical ride that Solomon takes us on over the course of the first four songs, has a fitting ending with the concluding track. The song explains that if fame comes, it will be at the right time. If love enters our lives, it will be at the right time. We cannot force the schedule. It's better, best even, to be comfortable with where we are and wait for what life has to bring us, and trust that it will arrive "Right On Time."